Chipotle announced Wednesday that it is looking for a new CEO. Steve Ells. the troubled fast casual chain's founder, chairman and current CEO, will give up the CEO role and become executive chairman once a new CEO is hired to replace him. Chipotle was once the darling of the restaurant industry, but it has been struggling for the past few years due to an E.coli outbreak that affected numerous restaurants in several states in 2015. Although the Centers for Disease Control and Prevention declared the outbreak over in February 2016, consumers have been slow to come back to the chain. "I am incredibly proud of Chipotle and our people -- and grateful to our loyal customers -- and while we are continuing to make progress, it is clear that we need to move faster to make improvements," Ells said in a statement. "Simply put, we need to execute better to ensure our future success," he added. Chipotle said it has hired executive recruitment firm Spencer Stuart to help with the search. "Bringing in a new CEO is the right thing to do for all our stakeholders," Ells said. Chipotle has tried, in vain, to get customers and investors excited about the company again. It launched a new ad campaign earlier this year that touted its "real ingredients" without added colors, flavors or preservatives. 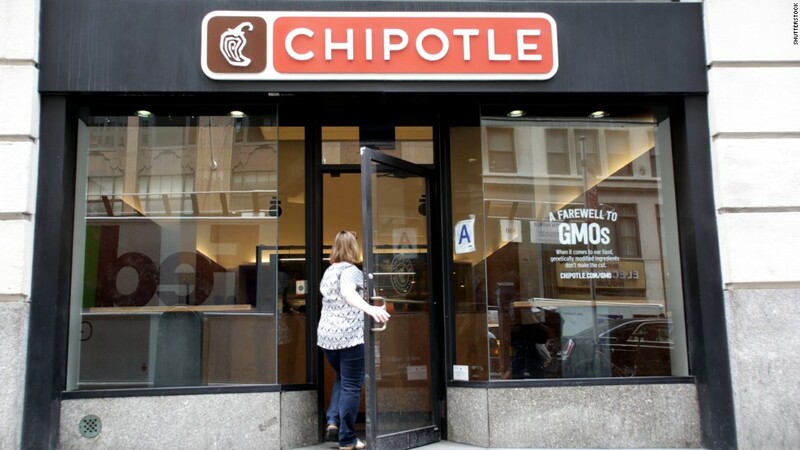 But Chipotle has dealt with other health scares at some of its restaurants lately, including a norovirus outbreak in Virginia and rodent sightings at a Dallas location. Chipotle also suffered a massive data breach that allowed hackers to access credit card information at nearly all of its restaurants earlier this year. Shares of Chipotle (CMG) have plunged more than 20% this year and remain more than 60% below their all-time high as a result. That's despite the fact that other fast food restaurant chains like McDonald's (MCD) and Burger King parent Restaurant Brands (QSR) are thriving. Chipotle's stock rose nearly 5% in early trading Wednesday following the news about the CEO search. "The decision of Steve Ells to step down as CEO is the inevitable consequence of Chipotle's inability to get to grips with its various problems," said Neil Saunders, managing director of research firm GlobalData Retail, in a report Wednesday. "Under his leadership, the chain has stumbled from one crisis to the next and has failed to reignite the growth that it once enjoyed," Saunders added, saying that investors questioned "his ability to run a larger publicly owned company and to guide it through choppy waters." There's also been a flurry of restaurant mergers this year that have pushed up the prices of most of Chipotle's rivals, making the stock's weak performance this year even harder to stomach. Arby's, the chain that is majority owned by private equity firm Roark Capital, agreed on Tuesday to buy Buffalo Wild Wings (BWLD). Panera, another company that's widely cited as a leader in the fast casual space, was sold to European conglomerate JAB earlier this year. Chipotle's plan to find a new CEO is probably a sign that it's not looking to sell out to a larger rival or private equity firm though. But if the stock keeps sliding, a sale could become the only way to stop the bleeding. That's why Saunders thinks it will be key for Chipotle to take its time and find the right person to turn it around. "While a new CEO is not a silver bullet, the move gives Chipotle a chance to look again at its strategy and its approach," he said. "This is desperately needed, for along with the various health scares consumers are increasingly bored with an offer that has never really evolved,' Saunders added, saying that a new CEO must be "operationally strong but must also have some flair and an innovative spirit to help reinvigorate the brand."